If you are looking for fresh design flair and a wealth of experience, we are the team for you. Design Shop is the part of the Access Displays business that develops custom exhibition stands for clients. 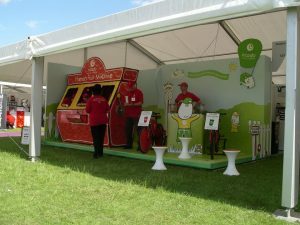 We understand that you want to make your brand more visible and you need more than just a stand contractor. You need a team that will make you look amazing and get the job done on time. Our clients rely on us to deliver outstanding results at exhibitions all around the world. You can rely on us too. We specialise in coming up with solutions that fit our clients’ budget and timescale. When you choose us you, you get access to our superb design and project management teams, as well as our global experience. That’s how we create award winning exhibition stands all around the world. At Access Displays we are always thinking about the latest technologies and how we can incorporate them into exhibition stands. In November 2015 we attended the Museums Association exhibition to demonstrate interactive displays within museum environments. Suffice to say, our cThru display case stole the show, perfectly mixing digital content with reality. Take a look at our interactive display video and begin to imagine what we could build for your museum or your exhibition. 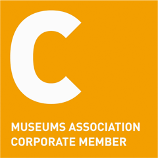 Access Displays are proud members of the Museums Association and work with many museums in the UK. We facilitate their requirements, from hiring display cabinets to supplying bespoke and GIS specification display cases to house historical artefacts. These rare and valuable artefacts need special care that a regular off-the-shelf display case is unable to provide. Items that have been displayed in our museum grade display cases include the Allenton Hippo at Derby Museum and Roman Coins at Verulamium Museum. Find out more about our Museum Displays or get in touch. We’d love to hear from you. Since 1990 Access Displays has built a great reputation in the exhibitions world. In July, 2000 Access Displays bought The Design Shop to increase our expertise in custom build displays. Over the years, The Design Shop website has been updated with additional creative solutions, including glass exhibition system, interactive displays and museum displays. You can visit our Access Displays website if you want to find out more about our modular exhibition displays and online shop. When you work with Access Displays, you are working with a team of industry professionals that have years of experience within the exhibition and live event industry. It includes specialist partners around the World so you can tap into their local knowledge of global exhibition venues, local regulations and local customs.